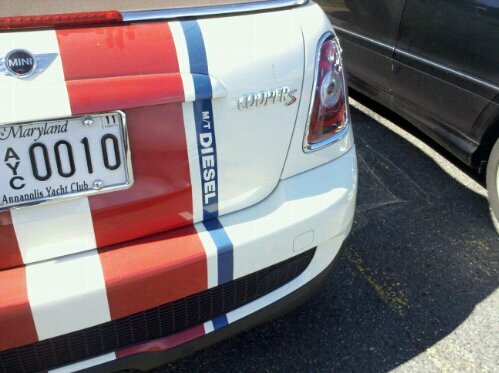 A Real Mini Cooper Diesel in the U.S.? This was in the parking lot this morning as I was walking into work, and I couldn’t help but notice that one special word on the trunk lid: “DIESEL”. Is this really a MINI Cooper S convertible with a Diesel engine, here in the U.S.? The only Diesel MINI I know of that’s slated to come to the U.S. is the Countryman Diesel, which isn’t supposed to show up until early next year.